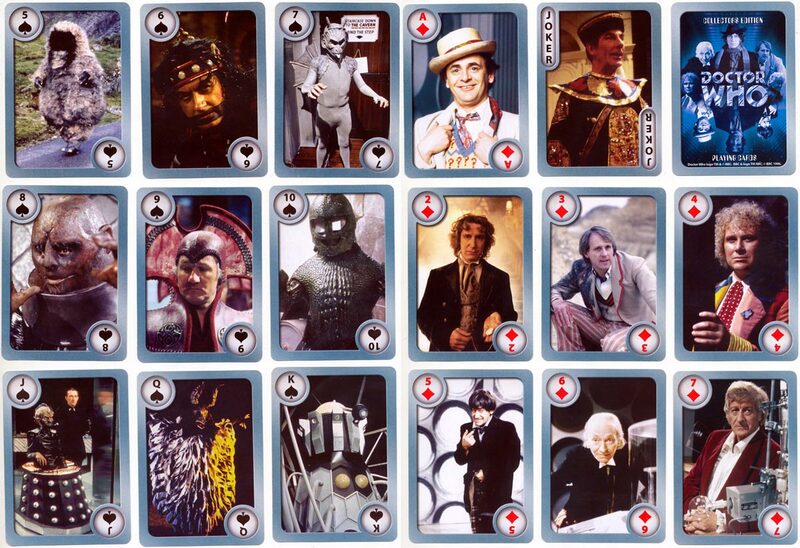 Three series of ‘Doctor Who’ playing cards captured the moments from the different episodes. 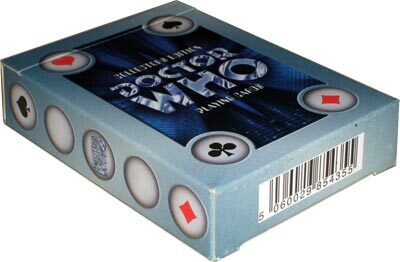 Series 1 features 54 illustrated collectors playing cards featuring the ninth incarnation of the Doctor (Christopher Ecclestone) and introducing Rose Tyler, his companion in time and space. Series 2 & 3 feature the tenth Doctor (David Tennant) and his companions coming face to face with the terrors of the Universe. Travelling through time & space on board the ‘Tardis’ (Time and Relative Dimensions in Space), the Doctor and his companions began their adventures on November 23rd 1963. Since then the nation’s favourite time traveller has been through nine transformations, employed a number of assistants and fought many foes. This pack published by Cards Inc. in 1996 shows pictures of the successive Doctors, assistants, Daleks & monsters as they evolved over the decades. CREDITS: all images from the collection of Matt probert.